Wireless Card for Desktop PC – How to Choose One? Home » Computers & Laptops » DESKTOP PCs » Wireless Card for Desktop PC – How to Choose One? 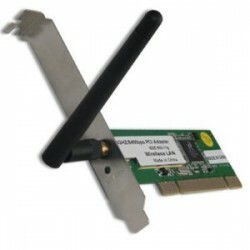 Of all the non-essential hardware available to the average user, Wireless card for desktop PC is some of the most useful, especially so if your household or office has a large number of PC’s, and it’s a hassle to use physical cables in order to connect them all into a single network. First of all, what does a Wireless card do for your desktop PC? It allows your PC to connect to the internet through the wireless network. Which is something that can be very useful if your router is in a different room and you don’t want to have a long cable running through half of your house, or if your router simply doesn’t have enough ports for all the computers you want to plug in. All new laptops and smartphones are capable of connecting to a wireless network (since they have their own wireless card pre-installed), however, PC’s don’t usually come with the wireless card (mostly because it seems redundant, a desktop PC isn’t moved often, therefore it is assumed that you would set up your router close to it). And, as it so often is, the PC has a selection of choices. The main choice you have to make when choosing a wireless card for your desktop PC is between a USB (Universal Serial Bus) card and PCI (Peripheral Component Interconnect) card. The question you are now likely asking yourself is: So what is the difference? Essentially, the difference is this, A USB card has less power than the PCI one, but it is extremely simple to install and, if necessary, remove later. As the name says, the USB wireless card comes in the form of a USB flash drive, which can be easily plugged into your PC, and in most cases, the Operating System (Windows, Macintosh or Linux) will do the job of installing the necessary driver software for you. As you can imagine this makes the USB wireless card very user-friendly. The USB Card is also quite small, so it’s really easy to take it to a different PC if needed (from personal experience it’s also quite easy to lose, so keep an eye on it). When I comes to the matter of price, the USB cards are generally cheaper than their PCI counterparts, though the difference is small enough that you can find some high-end USB variants that are more expensive than the average PCI card. Around $50 should be enough for you to get a good USB card. On the other hand, the PCI wireless card for desktop PC has to be installed directly on the motherboard, and if you don’t know what that means you probably won’t be able to do it on your own. There are a lot of tutorials for installing components in your PC, so I’ll skip that part here; but, suffice it to say, it involves opening your PC and should not be attempted by someone who doesn’t know what they’re doing. Back on the topic of the PCI card, the main pro of it is the connection strength you get with it. 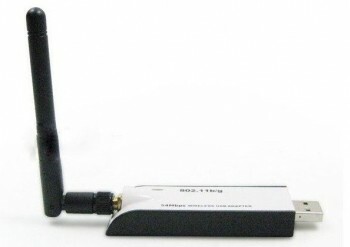 Since the card comes with several antennas on it, it can use a transmission method called spatial multiplexing to increase the overall quality of the connection. As for the price, some $100 should be more than enough to buy you a good card. Once you decide on the type of a wireless card you want for your desktop PC, you need to choose a manufacturer and a model. Some models will work better for you than others, some will be recommended by people on online forums while some will be fairly unknown. Choose depending on what you need. If all you need is a stable internet connection for your desktop almost any wireless card will be good enough for your desktop PC. If you need a connection that is completely stable and as fast as possible, some of the better PCI cards should do the trick.